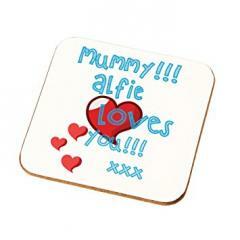 Give a Personalised Coaster as a cute Mother's Day Gift - Only �3.49! Only �3.49 plus 50p p&P. This would make a very sweet gift for Mother's Day.